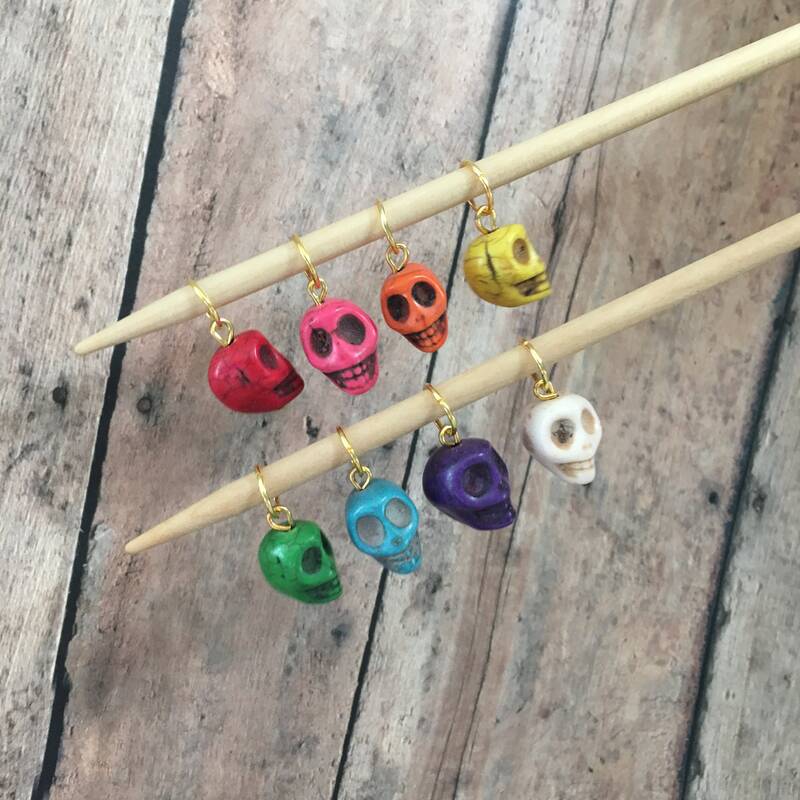 These spooky stone skulls come in bright candy colors! Each marker is detailed with fine veins and deep set eye sockets, and have been hand wired onto gold toned findings. These markers will fit up to a US 8/5 mm needle. You will receive one of each of the following colors: Red, orange, pink, yellow, green, blue, purple, and cream.